I am a fan of team sports as I'm always attracted to the teamwork and espirit de corps developed within a team. One such sports that I always enjoy watching but lack the physique to try is Rugby. A truly manly game in my opinion, Rugby is a full-contact sport that features a combination of strength, speed and strategy to move an oval ball into an opponents territory with its players wearing little-or no protective gear. 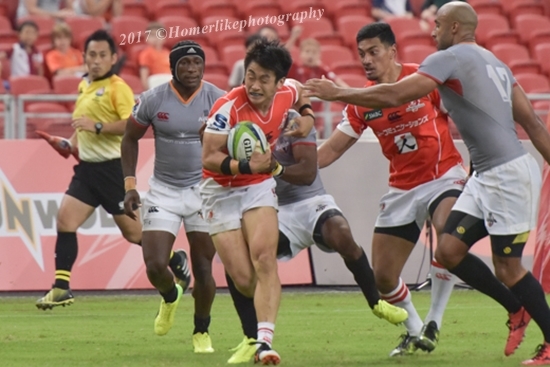 For the 2017 Super Rugby season, Sunwolves is scheduled to play seven (7) of its fifteen (15) matches at home with 4 matches in Tokyo and 3 matches in Singapore. 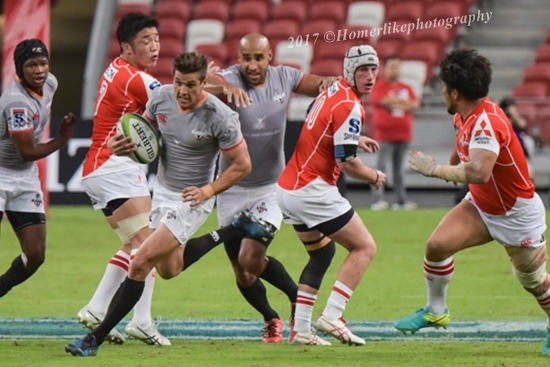 The first home match at Singapore Sports Hub happened just last weekend, on 4th march 2017, in-front of approximate 8000 fans against Southern Kings from South Africa. 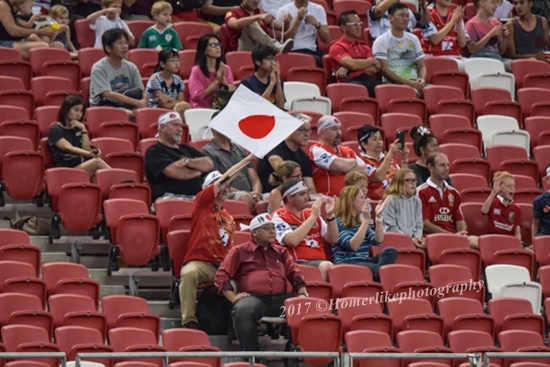 Coming into the season as the worst performing team of 2016 with one (1) win, one (1) draw and thirteen (13) loses, HITO-Communications Sunwolves has everything to prove to its critics as well as its adoring fans after opening its new season with a lost at home to the defending champion Hurricanes of New Zealand on 25th February 2017. However in a match that Sunwolves must win against the 2nd worst performing team of 2016, the home team did themselve a disfavour when they gave away a penalty as early as two minutes into the game. 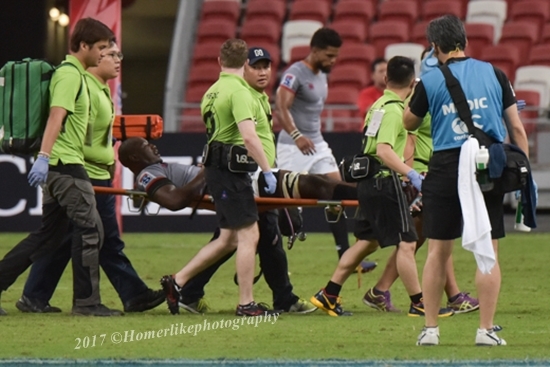 With poor passing, misses in conversion, exposed defense and toothless attack, The 2016 Super Rugby debutant went into first half break licking their wounds at 7-17. 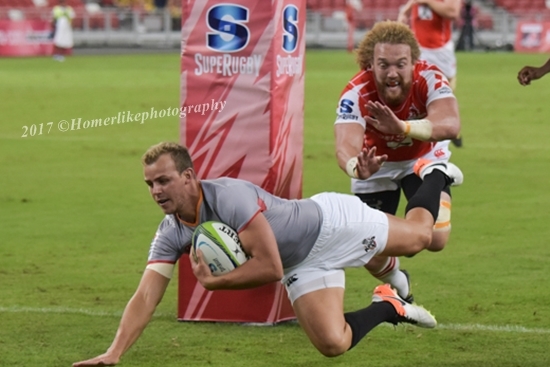 While Sunwolves regrouped in second half with two (2) tries and one (1) penalty, they failed to stop the Kings' onslaught thanks to the brilliant performance of King's fly-half (Lionel Cronje) in not only orchestrated the back line but also those decisive passes that won the South African team its first win of the season at 37-23 at full time. Credit to his accurate goal kick, the No.10 of Kings has had seventeen (17) points to his name that evening through four (4) conversions and three (3) penalties! Super Rugby is the preeminent professional men's rugby union competition in the Southern Hemisphere and Japan. 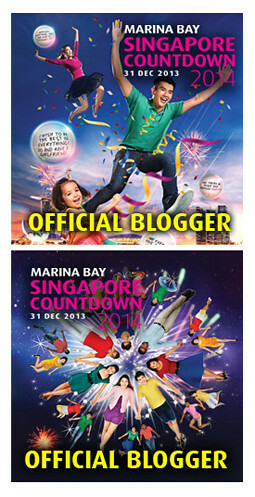 Whether your plan is to support Asia's only representative in Super Rugby or just wanted to witness one of the world's greatest rugby competition games in Singapore, I am sure the fun and intensity of the game is going to rock, ruck, and rumble your day to a whole new high! With two (2) more Super Rugby games to be played at Singapore Sports Hub on 25th March and 20th May by Sunwolves, be sure to join in the howl/fun today by getting your tickets at www.sportshubtix.sg.